(CNS): Following reports in the media that the HSA has turned away some blood donors the hospital has said that in accordance with some international guidelines it cannot accept blood donations from anyone who lived in the UK for three months or more between 1980 until the end of 1996 or who has ever received a transfusion there since 1980 because of Creutzfeldt-Jakob Disease (CJD). The restriction limits most British adults as well as many other people who have lived or worked in the UK from giving blood. The HSA said that the Cayman Blood Bank takes a conservative approach to the safety of its blood and follows the guidance relating to known infectious diseases and potentially emerging ones. The issue of “British blood” has been highlighted in the comments on CNS as well as in reports in other media and the HSA said it was giving the wrong impression. It admitted however a long list of conditions on blood donors likely to exclude a considerable number of people in Cayman including Caymanians who studied or worked in the UK or Europe. The HSA said the restriction was to reduce the possible risk of transmission of Creutzfeldt-Jakob Disease (CJD) and New Variant Creutzfeldt-Jakob Disease (nvCJD) by blood and blood Products. CJD or mad cows disease is an extremely rare but invariably fatal degenerative disease of the central nervous system. The HSA said it was not alone as several countries implemented a policy to restrict blood donors from Britain, including oher Caribbean countries and the United States. However, Judith Clarke, laboratory quality coordinator for the Cayman Islands Health Services Authority pathology laboratory said the bank remained hopeful that the scientific technology for determining individuals at risk for CJD and detecting the infectious agents will eventually reach a level that blanket restrictions will no longer be deemed necessary. “Until then we are hopeful the community will rally behind the H.S.A by becoming donors,” she said adding that it was essential that new donors step forward to take the place of previous donors who may be restricted from giving. The H.S.A desperately needs the support of all Caymanians and residents to ensure that adequate levels of blood are stored. “Enforcing these guidelines is not a simple matter for the H.S.A. It makes the job of providing patient care that much more difficult. But it is the right thing to do. The H.S.A will not ignore international guidelines, or put the life of even a single patient at risk, for the sake of convenience. As a result, we will work harder as an organization to overcome the challenges caused by these restrictions and work with the media and the general public to create an understanding of why this is the only responsible approach,” Clarke explained. 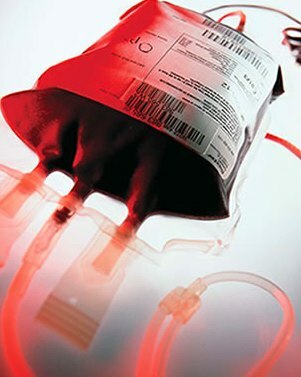 The HSA said those affected by the blood donor ban included people who had travelled or resided in the United Kingdom for a cumulative total of three months or more at any time from 1980 through the end of 1996. Those who have received a blood transfusion in the United Kingdom at any time from 1980 to the present and people who travelled or resided anywhere in Europe for a cumulative total of six months or more at any time from 1980 through the end of 1996. People who travelled or resided anywhere in Europe for a cumulative total of five years or more at any time from Jan. 1, 1997, to the present are also banned. “It may be worthwhile pointing out thatfrom time to we have had to defer accepting donors from other jurisdictions due to health concerns and international regulations,” Clark said as she added that giving blood was an amazing opportunity for each of us to play a part in saving the life of a friend, neighbour, co-worker, or family member. And it is such a simple thing to do. As a Caymanian who is also restricted from giving blood for these internationally imposed restrictions, I am happy the HSA has taken the decision to follow international restrictions in order to prevent anyone from being harmed by potential diseases that could be lurking in my blood. I personally would not want to be responsible for any harm to any recipient of my blood. It’s laughable and at the same time quite sad that the Ignorant (yes, with a CAPITAL I) would turn something as basic and scientific as this into a political platform. On a serious note though, public health issues all over the world are generally pretty laughable. My blood may not be desirable here in Cayman due to the claimed possible risks of passing on a disease I may or may not have and yet we import milk from the US contaminated with rBGH (banned in Europe I believe) and are still encouraged to believe that it is good for us and our children. Look it up and you might well change your buying habits. Read the labels and look for specific mention of the absence of growth hormones in the milk you buy – if it’s not mentioned look for another brand. Genetic engineering of milk is a serious issue and links to all kinds of cancers have been mooted along with all kinds of allergies and other health issues, particularly in African Americans but basically for all human beings. Ultimately, arguments against the suitability of milk for human consumption are growing steadily stronger and the facts are out there if you care to look and inform yourself. Try a search for something like "milk is poison" or "growth hormones in milk", you get the idea. It’s just one example of why relying on governments to inform you is always a bit of a non starter. A central question which has not been dealt with by the HSA is how plentiful is the blood supply in Cayman. If there are more than enough donors then the rule banning Euro-blood causes no problems. But if there are limits on the availability of supply then the position changes. Unlike in the US, for Cayman this Euro-ban bars a very significant proportion of the potential donor population. The evidence is we have limits on supply. Just one car accident victim led to emergency appeals. What if there are two or three people in an accident? It looks like this rule is putting lives at risk here. The balancing exercising in the US in respect of the minute risk of nvCJD may well make sense. Here it does not seem so clear. So why has the HSA not clarified how plentiful the stocks and supplies are here? Then this debate can be conducted on an informed basis. Could someone please clarify for me….I am from here, I have a rare blood type but I did have a blood transfusion in the UK a few years ago. Am I excluded? If I am dying in the emergency room and need blood, please give me anyone healthy person’s blood – I will take the risk. CJD is similar to mad cow( similar "bugs"(prions)(very new pathogen!) cause it) and is also incurable and fatal. Blood banks obviously cannot test for it so they want to as best possible eliminate/decrease risk. Please don’t take it personal your blood is still "good" 🙂 I do agree public should be advised if they are automatically excluded to eliminate time wasting. Also UK is in a different risk situation as they already have had epidemic and this particular rule would virtually eliminate their entire donor population. Cayman on the other has relatively small British population so guess there determined that they could afford reduction in the donor population. Furth more this rule would probably be relaxed when an inexpensive test is developed and or (knock on wood) in event of mass casualty disaster type situation. Oh yes please lets initiate the possible risk of transmission of Creutzfeldt-Jakob Disease (CJD) and New Variant Creutzfeldt-Jakob Disease (nvCJD) by blood, by letting the persons categorized in the above give their blood. I guess some people did NOT read the word FATAL. I have no ill feelings about not being able to give blood here, rules are rules. What annoys me is the fact that they don’t bother to mention this when they give a great big speel about needing donors. So many people take time off work, etc to go down there to be told no we don’t want yours. As this must included a large percentage of people in Cayman, would it not have been considerate to include one line in their initial article saying if your from the uK or lived there don’t bother coming down? To be honest it is their loss not mine. I have been giving blood for years in the UK and have a fairly rare type so they are always grateful. If they’d rather let somebody die here than have it then so be it on their head. The British NHS do ban those transfused in the UK since 1980 from donating as a precaution against vCJD. The last thing we need is a new infectious disease introduced in these islands. If the slightest possibility of this happening exist, then the blood bank is correct in not accepting blood from likely infected persons. It is unfortunate that certain people have been placed inthe non-acceptable category but safety is very important to the Health of our people. Those who have received a blood transfusion in the United Kingdom at any time from 1980 to the present and people who travelled or resided anywhere in Europe for a cumulative total of six months or more at any time from 1980 through the end of 1996. People who travelled or resided anywhere in Europe for a cumulative total of five years or more at any time from Jan. 1, 1997, to the present are also banned. No wonder they are so short of blood. These rules must exclude a huge majority of people in Grand Cayman. I have wonder if these rules really are necessary – how do the bloodbanks in survive in Europe – what are the British rules on giving blood within the UK – surely they don’t ban themselves?….seems a vast overreaction to me. What are the real risks? Do they outweigh the risks of excluding so many potenal local doners locally and so the hospital runs short of blood all the time?